At Patriot Federal Credit Union, we know that you work hard for your money so we want to make sure your money works hard for you. 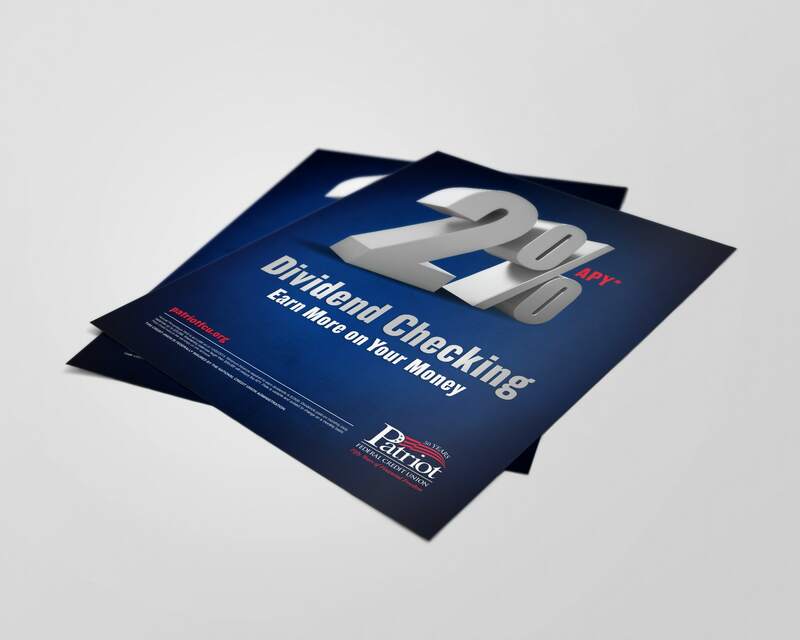 Our Dividend Checking Account offers money-saving features and it pays up to 2% APY. 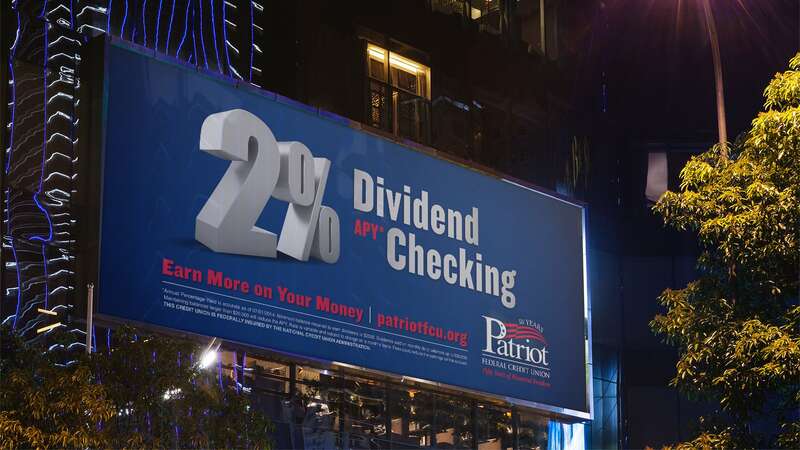 2% APY from a checking account! 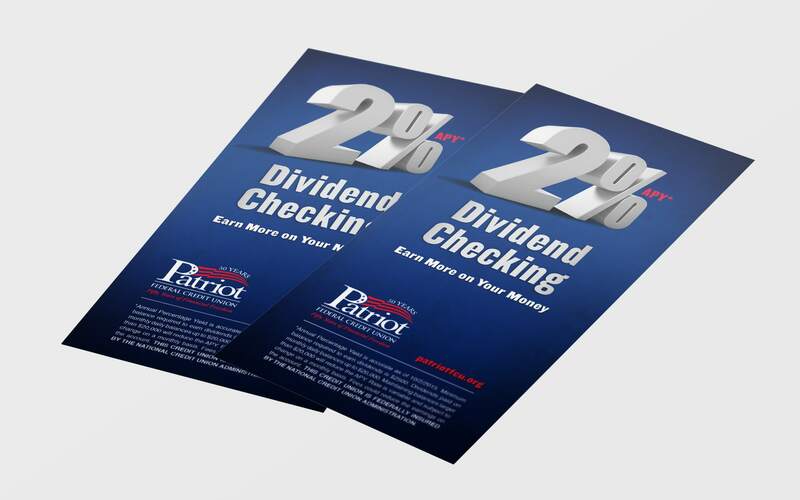 Learn more about Dividend Checking at patriot-f-c-u-dot-org. Annual Percentage Yield is accurate as of 10/02/2015. $2500 minimum balance required. Member NCUA.